The movie tells the origins of Solomon kane and is hoped to be the first of a trilogy of movies. When the story opens Kane is a mercenary of Queen elizabeth-1fighting in Africa, but after an encounter with a demon, The Devil's Reaper, he realizes he must seek redemption or have his soul damned to Hell. 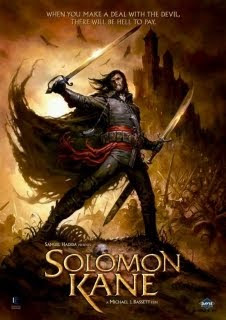 He returns to England and lives a life of peace, converting to puritanism, but soon the doings of an evil sorcerer (Malachi) upset his plans and he must take up arms again.